I never thought the response for Eat Healthy- Fiber rich would be so immense. I am really very happy. Wow! My first event is really a great success with all your support and encouragement. Thank you all. There is a surprise and I will let you know about that when I post the round up. Now for the next month event. For the month of July it is all about protein. The event is from Jun 15th till Jul 30th. 1. Make any dish – be it Appetizer, Main Course or Dessert , Vegetarian/Non -Vegetarian, any cuisine and using any ingredient, anything under the sun that is Protein rich and post the recipe in your blog /site and link it back to this announcement. I would greatly appreciate if you use the logo. 4. Send me your “Name”, “Recipe”, “Recipe URL”, “Photo” to : letusallcook@gmail.com i.e. letusallcook(AT)gmail(DOT)com with the subject as Eat healthy - PROTEIN Rich. 5. Last date for the entries are 11:59PM (Pacific time), July 30th 2008. 8. Do write about the amount of protein present in your recipe. I have decided to make this event more like a contest so that there will be 2 winners. Winner 1: The top 5 entries with the most protein content will be asked to vote by you and the winner will get a $20 Gift certificate. Winner 2: You can send as many entries as you can for this event. 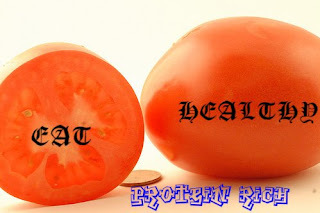 The person/blog with more number of protein rich entries will be featured in this blog for 1 month. This is my way of appreciating your contribution. Since I do not have any outside sponsors it is difficult for me to choose more winners and award them gift certificate. So I thought of doing something like this. Hope you will appreciate this. Take a look at our Previous Eat Healthy event details and roundups. I will send my entry soon..
wow, protein rich event! I might or might not contribute for this sangeeth, as I will be on vacation till first week of August. But I will try my best to participate. Best wishes for the event. Waiting for the surprise! great event. i am in. Great theme! My entry is on its way right now! Great idea ! I have already sent in my entries to this event. Hola from Spain Sangeeth! A lovely event :D. I'm protein-posting tomorrow, so I'm in. Nice meeting your blog! Protein rich food event sounds great, will surely try to make it! Recieved the acknowledgement. Thank you , Sangeeth. Hi...hope you received my entry. It is actually more important to have more simple carbs than protein after strength training. Carbs are necessary to reinstate the glycogen stores in your muscles. That usually prevents dissimilation. I lay aside the protein-rich snack for an hour or two later. Good to see people are going for a healthier diet. Doing wedding catering, we try to have many healthy options to cater to everyone needs. Some just want delicious food and some want to party. I prefer to make the healthy foods.